The Magic of Tony Daniels for Kids: Come one, come all to be dazzled and amazed by the magic of Tony Daniels! Don’t miss the excitement! 10:00 a.m.-11:00 a.m.
Thor’s Reptile Family for Kids: Kids will experience excitement when they see the exotic collection of reptiles in Thor’s Reptile Family. 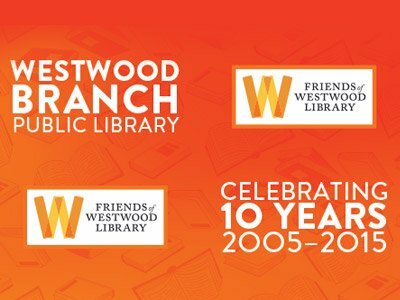 11:30 a.m.
Airbrush Tattoos for Teens: Professional airbrush artists will create colorful temporary tattoos for teens! 1:00 p.m. 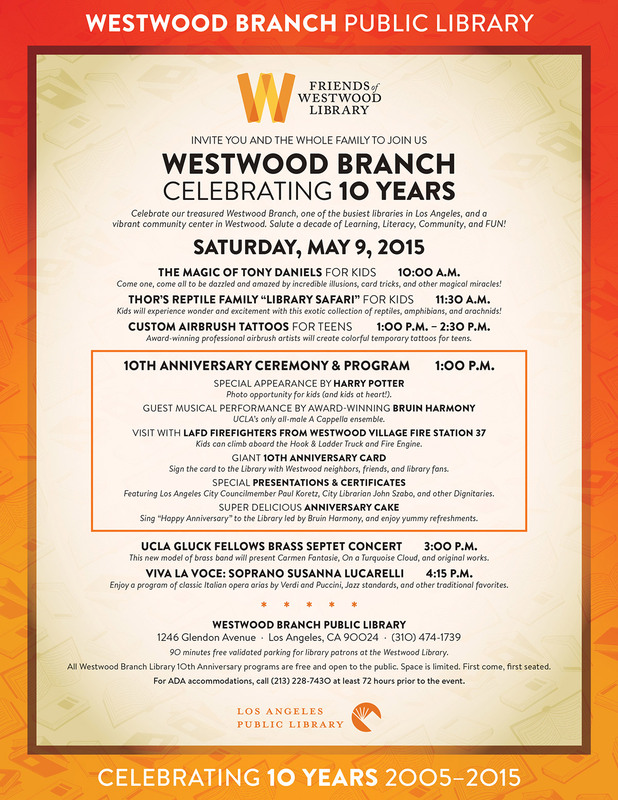 Ten Year Anniversary Ceremony and Program: Celebrate the 10th Anniversary of the Westwood Branch Library featuring Harry Potter, and the LA Fire Dept.! 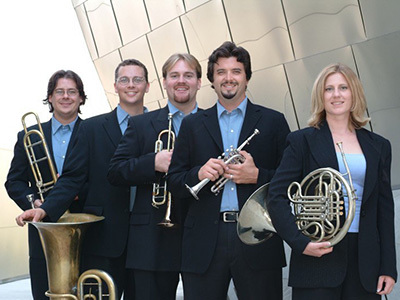 1:00 p.m.
UCLA Gluck Fellows Brass Septet Concert :The group will perform Carmen Fantasie (arr. 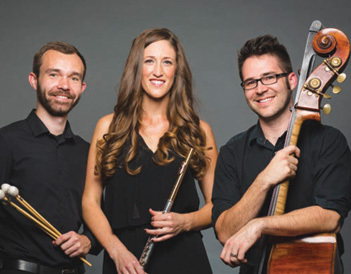 Bolin), On A Turquoise Cloud (arr. Bolin), and original works. 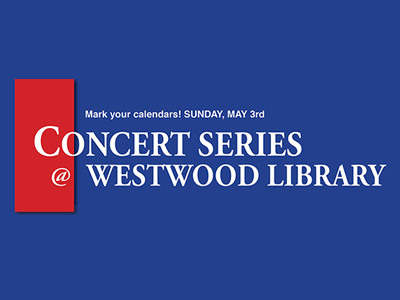 3:00 p.m.
Vocal Musical Recital by Susanna Lucarelli: A one-hour program of Italian opera arias, jazz standards, and other traditional favorites by Susanna Lucarelli. 4:15 p.m.